Since I was young, probably before I even knew there was such a thing as An Historian, I wanted to be a writer. Novels, film scripts and songs were all more obvious fantasies than scholarly tomes, but it’s the same impulse to carve thoughts into words that drives me in my academic writing today. I still feel I’m finding my feet as a writer, so my blogging makes no attempt to offer writing advice beyond the undergraduate essay. If you do want academic writing advice there’s plenty out there – including one of my personal favourite blogs, Education Professor Pat Thomson’s patter. What you’ll find here are personal reflections and musings on topics ranging from blogging to writing academic articles and books, to publishing as well as history as drama or documentary. 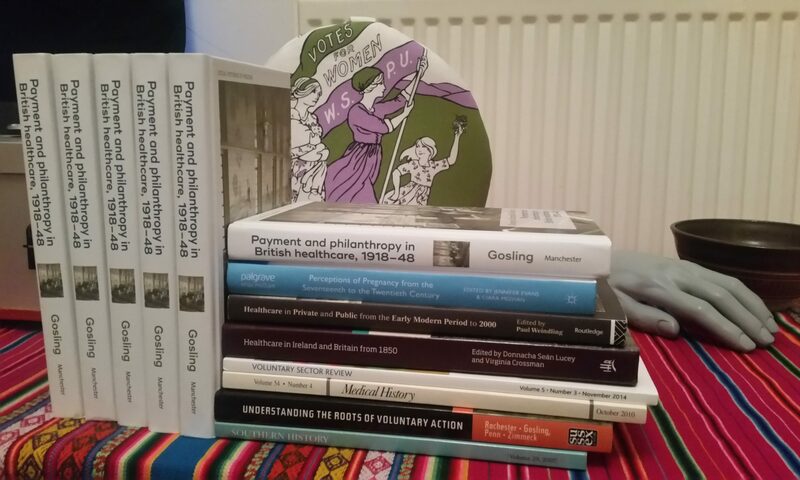 Continue reading "History Monograph Introductions"
Continue reading "Reading Around: Britain in the 1990s"